MongoDB Monitoring Service or MMS is a free monitoring application developed by the MongoDB team to manage and troubleshoot MongoDB deployments. Once set up correctly, you get a bunch of metrics that can be very useful during troubleshooting production issues. 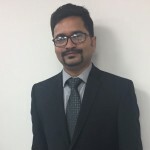 MMS is also used by MongoDB team to provide suggestions and optimization techniques. In this post, I will be briefing about the steps to install and few tips and tricks to setup MMS for one’s MongoDB cluster, without having to spend a lot of time. 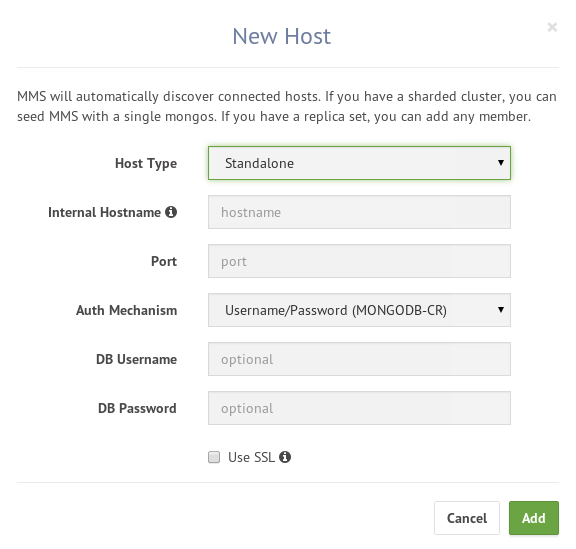 On the whole, there are two steps to set up MMS for a sharded cluster. 1. Firstly, create an account on mms.mongodb.com and login into MMS. 2. Get the monitoring agent installation instructions on the settings page. 3. Select the platform on which MMS agent needs to be installed to get the corresponding instructions. 4. The API keys would be needed to be updated on the configuration file after installing the agent. The API Setting page would have it. Before starting the agent, copy and paste the same into the configuration file. 5. Now, on the MMS console’s Monitoring Tab, Click on “Monitoring Agents” and there should be one entry there with the details of the agent which include hostname, IP address, version etc. You can also install a backup monitoring agent on a different host. Now that we have the agent set up, we can go ahead and add hosts onto the MMS console. 1. On the Monitoring Tab, Click on “Add Host” to view the below screen. Standalone (Single machine deployment) – Provide the public IP of the machine and the port as 27017 and click “Add”. Select the authentication mechanism if necessary. In most scenarios, selecting Standalone and adding nodes individually would be hassle free way to go about using MMS. ReplicaSet – Provide the public/private IP (The IP used to configure the replicaset) of the primary mongodb machine and the port 27017 and click Add. This should ideally detect all the nodes in the replica set. But, if you don’t see the remaining nodes get detected in less than 5 minutes, you can select standalone host type and add all the nodes individually. This would not have any affect on the monitoring metrics and also, all the nodes would be detected as part of the replica set. Sharded Cluster – Provide the public/private IP (The IP used to configure the sharded cluster) of one of the mongos machines and the port as 27017 and click Add. This should ideally detect all the nodes in the sharded cluster which includes other mongos processes, config servers and shard server replica sets. Again, similar to the case of replica set, if the nodes do not get detected in less than 5 minutes, use standalone and add the nodes individually. Note that, in case of adding config servers as standalone machine, give the port as 27019 (default config server port). One troubleshooting scenario I have faced many times is that the node gets detected once, it appears on the hosts screen but further connections fail and MMS would not receive any metrics from the node. In this scenario, all you have to do is restart the MMS agent and things should be fine. Once the nodes start getting detected, they would all be separated by the type of host. All the shard servers would be under “Hosts” tab, mongos nodes would be placed under “Mongos” tab and config server nodes under “Configs”. Clicking on the host name would redirect you to the corresponding metrics. So, as i mentioned, restarting the monitoring agent and using the public/private IP that is used for configuring the cluster, should solve host detection issue. But please give MMS set up a try and in case you had to troubleshoot any new issue, please do post here.